Over the past couple of years mobility has become one of the most important business and IT strategy topics, and the focus on it is only going to increase in 2013. It has also become increasingly difficult to have a discussion on business mobility without it including the bring your own device, or BYOD trend. In fact, recent research by analyst firm Ovum indicates that by 2017, there will be 443,939,000 BYOD mobile connections worldwide. This number is impressive on its own, but is even more striking when it is compared to Ovum’s estimate that there will be 532,778,000 corporate-liable mobile connections worldwide by 2017 as well. Thus, in just five years from now there will be nearly as many employee-liable devices moving in and out of corporate networks as there will be corporate-liable devices. At first glance, the concept of BYOD is quite simple: Allow employees to supply their own devices, thereby increasing employee satisfaction and hopefully reducing capital – and perhaps even operational – expenditures. Generally, and especially for the purposes of this article, the “device” in BYOD refers to mobile devices, particularly carrier network-connected connected smartphones and tablets. However, for all its potential benefits BYOD also creates security and management challenges. After all, at the end of the day, BYOD involves IT relinquishing at least some control over the devices connecting to corporate networks, resources and data. As always, there is some risk when relinquishing any such control. Because of this, impressions of BYOD range from company to company, with some embracing it wholeheartedly, some remaining cautiously optimistic and some still approaching the topic with outright reproach. That said, there is also a common belief among nearly all of these organizations: BYOD in some form or another is largely inevitable. Nonetheless, companies realize that BYOD within their organizations is going to happen whether they promote it or not, thus many are coming to the conclusion that they can at least make it on their terms. This involves efficient enabling of employee-liable devices, establishing strong policies for their acceptable use and utilizing technology to enforce those policies and secure mobile devices against a myriad of threats, from loss or theft to malware. When all of this is taken into account, there are many companies that simply either cannot or do not want to assume this burden. Some of these are enterprise-class organizations that are finding it more financially viable to outsource the management of their mobile infrastructure, while many others are small- to medium-sized companies who do not have the resources. After all, SMBs often already have their hands full with managing the demands of their traditional IT infrastructure and endpoints. Add mobility and BYOD to the mix and often overtaxed IT staffs become spread even thinner. This is all excellent news for the wireless telecommunications industry. Why? Because herein lies a tremendous opportunity for carriers who have developed a trusted network to step into the role of managed service provider for companies such as those described here. And while some are already doing this to a degree, there is much more opportunity than first meets the eye. In fact, there are five specific areas of business mobility carriers should seek to address on behalf of their customers. Business data must be protected at all times. This is a primary objective of any IT organization, and the reason that most IT technologies exist in the first place. Mobile apps are the primary method to access, view, store and transmit that data, so both apps and data must have controls and protection appropriate to the company and industry. At all times, the people, the apps and the devices that are connecting to, and accessing, business assets must be identified and validated as authorized business participants. Identity is the first and most important component to any IT strategy, especially where mobility is involved because device and cloud access is not inherently as strict. Devices that access business assets and connect to company networks must be managed and secured according to applicable company policies and industry regulations. Every company should establish appropriate mobile policies, and those should be applied to all managed devices. With the incredible growth of mobile devices, they are rapidly becoming a key target for cyber criminals. Protecting devices and the apps and data on them is paramount to secure business data. Good threat protection should protect from external attacks, rogue apps, unsafe browsing and theft. Although mobile access, storage and sharing of files is not a challenge unique to mobile, the fact that a mobile device is typically one of multiple devices a user may have, the cloud is the obvious and simple solution for distributing and synchronizing information across devices. Businesses should have full administrative control over distribution and access to business documents on any network, and especially in the cloud. While some carriers have begun to step into the role of managed service provider in some of the areas above, none have addressed all five areas. They are not offering a holistic managed security and management experience. Carriers would do well to expand their services offerings and the mobile security and management market has matured to the point where effective, scalable solutions are available to help them do this. Doing so will not only benefit their customers, but their bottom lines as well. Ray Greenan, Global Marketing Director, Symantec Communications Service Providers, is responsible for strategy and implementation of Symantec marketing solutions designed to help Communication Service Providers transform their networks and businesses to deliver new applications and services to their customers in a secure and reliable way. Greenan was awarded a Masters in Business Administration in Management Information Systems from Manhattan College, where he also received his Bachelor of Arts in English. He has also earned certification from NJIT for Sustainable Design and Green Technology. 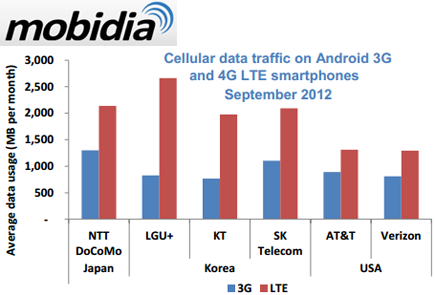 LTE subscribers are consuming significantly more data than their 3G counterparts, according to a new study from Mobidia and Informa that analyzes the usage patterns of 100,000 Android LTE users in Korea, Japan, and the U.S. Data for the study was captured in September 2012 from the major operators in each country. In all markets, LTE subscribers used significantly more mobile data than 3G subscribers. Specifically, in Korea and Japan, markets often used as leading indicators of mobile trends, Mobidia recorded increases of 132 percent and 67 percent,respectively. At the same time, decreases in relative Wi-Fi usage in all markets were also noted and Korea registered an absolute decrease. While Wi-Fi usage is still very significant, the data points to a possible trend towards a decrease in reliance, suggesting an opportunity for LTE operators. LTE operators’ strategy to reset pricing plans during the transition to 4G appears to be working. Mobidia’s data shows significant decreases in unlimited plans and increases in larger-sized, volume-limited plans. As an example, only seven percent of SKT LTE subscribers are using unlimited plans compared to 24 percent of SKT 3G subscribers. Additionally, the percentage of SKT subscribers on 2G or higher plans increased from only 10 percent of 3G subscribers to 62 percent of LTE subscribers. 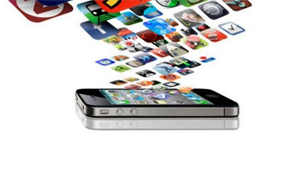 Mobidia has posted a whiteper, “Understanding Today’s Smartphone Users,” on its website. InterDigital and Sony Corporation of America have formed a joint venture -- Convida Wireless -- to focus on driving new research in M2M wireless communications and other connectivity areas. Both InterDigital and Sony will contribute funding and resources for M2M research and platform development, which will be carried out by InterDigital Solutions. Stephens Capital Partners will be a minority investor in Convida Wireless. The agreement also includes a patent license from InterDigital for Sony's 3G and 4G products. "Mobile is one of Sony's core businesses, and this joint venture will help us strengthen our foundation in this important area, focusing specifically on machine-to-machine wireless technologies. Given the pioneering efforts of InterDigital's engineers in this growing field, we can't think of a better partner," said Toshimoto Mitomo, Executive Vice President of Entrepreneurship and Innovation, Sony Corporation of America. "Moreover, in a market that is by its very nature collaborative, we expect Convida Wireless to be a platform for additional industry collaboration." InterDigital's current M2M technology has been integrated into the trial platforms of various market participants, including BUTLER, Intecs, Intel Corporation, Kontron, Mformation, Radisys, Sensinode, and others. "We're honored to partner with Sony, a company that is synonymous with so many advances in consumer technology, and to contribute our expertise in core wireless research. 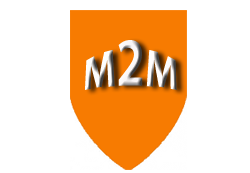 InterDigital's research efforts in M2M are mature, and have from the start been focused on creating a standards-based framework to benefit all companies in the wireless space — operators, device makers and others. We believe that collaborating with Sony through Convida Wireless will bring those efforts to the next level," said William J. Merritt, President and CEO of InterDigital. 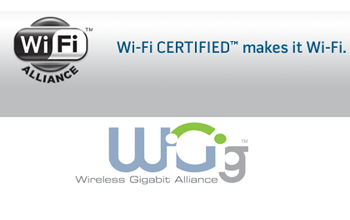 The Wi-Fi Alliance will consolidate all of the activities and assets of the Wireless Gigabit (WiGig) Alliance under a merger agreement announced by the organizations. “We set out four years ago with the simple goal of realizing a global wireless ecosystem of interoperable, high-performance devices that would operate seamlessly. In that time there have been many challenges to overcome but we have now created a market that simply did not previously exist. Consolidating activities with the Wi-Fi Alliance at this juncture will ensure WiGig’s mainstream success to the benefit of technology users everywhere,” said Dr Ali Sadri, President and Chairman of the WiGig Alliance. QTS (Quality Technology Services) has acquired the 92,000 square foot "Herakles" data center in Sacramento, California . The Tier III facility offers 52,600 square feet of raised floor space and 9.0 megawatts (MW) of power capacity, Financial terms were not disclosed. The deal expands QTS' data center fotprint in California to three wholly owned and operated premium facilities. 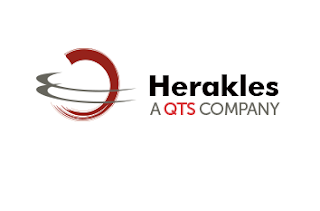 Herakles is a great company, with first-class people and a high-quality customer base," said Chad Williams, chief executive officer – QTS. "The acquisition of this technologically advanced data center adds a strategically located asset to our portfolio. Located just 120 miles north of our Santa Clara, Calif., data center and less than 90 miles from San Francisco, this facility expands our Northern California presence and offers California-based and national customers in each facility regional disaster recovery options as well as colocation and cloud services." 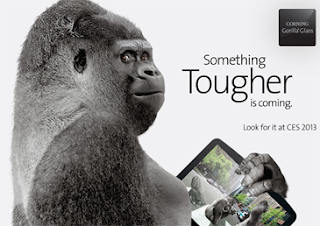 Corning Gorilla Glass 3, a new glass composition promising significant durability enhancements over the current generation. Gorilla Glass 2, which is used on a wide variety of consumer electronics including iPhones, is created using an ion exchange chemical process that compresses and strengthens the glass. Over 33 major brands are using Gorilla Glass and Corning estimates that over 1 billion devices have shipped. New Optical Cables for device-to-device connectivity. Full product details will be included in announcements planned for Monday, January 7. 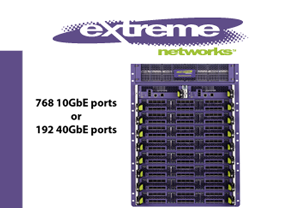 Citing longer than expected sales cycles, Extreme Networks cut financial guidance for its fiscal second quarter ended December 31, 2012. Sales were below expectations in the U.S. and EMEA, although the company said sales in Latin America and AsiaPac were promising. The company outlined a number of steps it is taking to streamline operations, including consolidating certain customer service operations into facilities in North Carolina, eliminating a number of management positions, reducing certain real estate, and adopting a single sales structure. The restructuring plan is expected to result in approximately $7.0 million in reduced quarterly costs once the plan is fully implemented. The Company expects to record a charge of approximately $5.5 to $7.0 million in the fiscal quarter ended on December 31, 2012. On a conference call, Extreme Networks said the restructuring impacts about 13% of its workforce, although some of the customer service jobs will be transferred to North Carolina. Net Revenue is estimated to be approximately $75 to $77 million, versus the low end of previously provided guidance of $78 million primarily due to delays in customer expenditures in EMEA and the US. Gross Margin (GAAP and Non-GAAP) for FQ2'12 is expected to be approximately 54% to 55%. Operating Expenses (GAAP) are expected to be in a range of $45.5 million to $47.5 million, which is above the range of previously provided guidance primarily due to the restructuring charges of approximately $5.5 to $7.0 million. Operating Expenses (Non-GAAP) are expected to be in a range of $38.1 to $38.6 million, which is below the range of previously provided guidance primarily due to lower than expected headcount costs as well as management actions to reduce expenses. Net Income (GAAP) is expected to be a loss in a range of $4.5 to $7.0 million, which is below the range of previously provided guidance primarily due to lower than expected revenue and the restructuring charges. Diluted EPS is expected to be a loss in a range of $0.04 to $0.07. Net Income (Non-GAAP) is expected to be in a range of $2.5 to $3.0 million, which is below the low-end of the range of previously provided guidance primarily due to lower than expected revenue. Diluted EPS is expected to be in a range of $0.02 to $0.03.